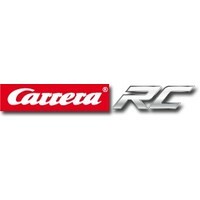 Carrera has always been a brand that specializes in high-quality and affordable racetracks. The RC line they want like to continue. What especially catches the eye at Carrera RC's are using almost professional components such as chassis, suspension and differential drive, but the long playing time is something that other brands are jealous of. It is with most brands is possible to drive up to 10 minutes with a full battery, with Carrera to the RC cars up to 30 minutes on a battery drive (in a relatively short charging time) and that without compromising on speed. Even the smallest models can already get a top speed of 20 km / h, while the top models simple 35 km / h. Incidentally Carrera also provides RC boats that meet virtually the same impressive specifications. With all this beauty, however, should be a warning: a Carrera battery requires specific maintenance. The battery should always be reloaded in order to avoid the risk of voltage (drain). Note that between the use of the car and then charge the battery is observed approximately 20 minutes break. Recharge the battery every 2-3 months. If this is not followed can lead to underperforming or malfunctioning batteries. So after driving, battery fully charged out of the car and put away. Below is our range Carerra RC articles. Are you looking for a specific Carrera RC and you will not find this in our product range, please feel free to contact our customer service .